In the spirit of the music Festival, Coachella, in Indio California this weekend, we created our own floral headband. Follow the steps below and make your own headband at home using our Cyndibands headband! 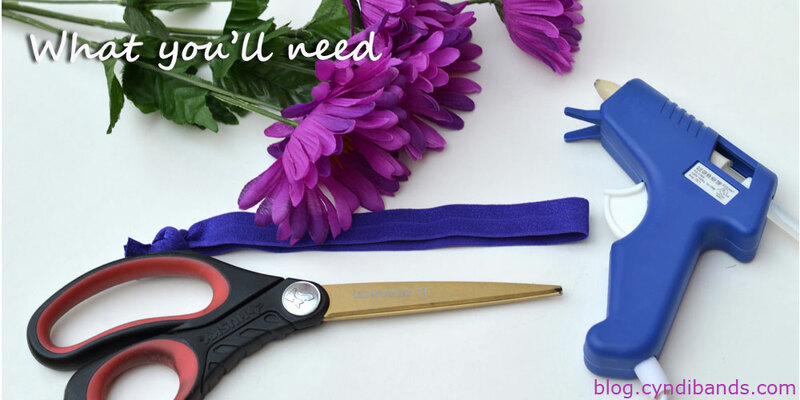 Flowers, scissors, glue gun, and a Cyndibands headband. Cut flower at base and remove completely from the stem. Flower must lay flat, leftover stem may cause flower to be flimsy. 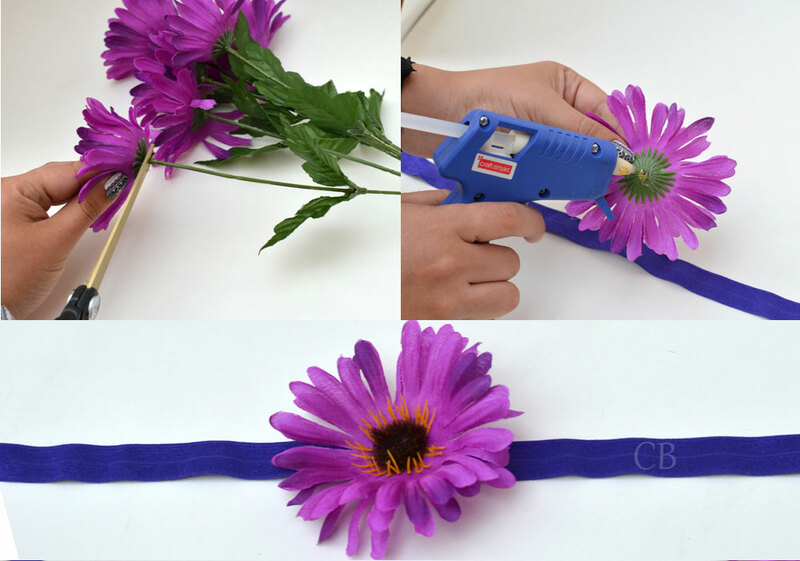 Apply a small drop of glue to the back of first flower and glue at the center of the untied headband. Take two more flowers and glue the petals together by placing a small drop of glue on the outside of the petals. Grab the two flowers that are now glued-together from the petals. 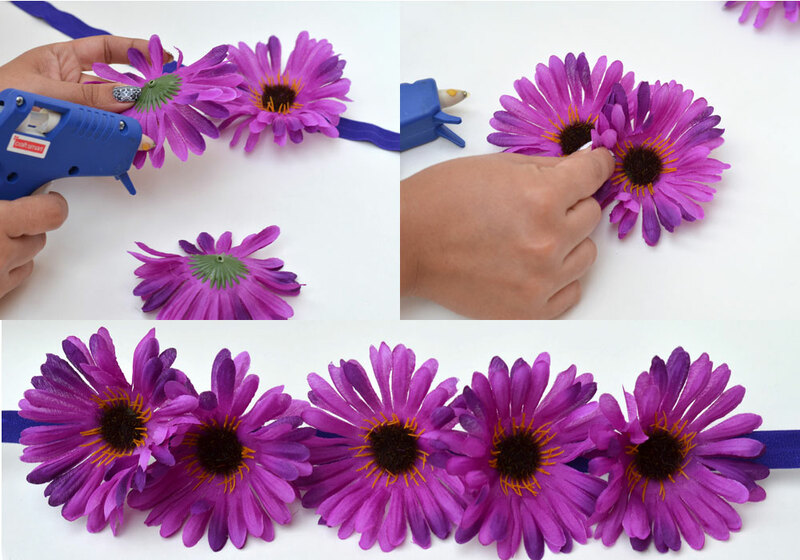 Apply a drop of glue to the back of each flower and place on the headband, to the right of the centered flower (about an inch apart from each other). Repeat steps 3 and 4. This time, glue the remaining two flowers to the left of the centered flower. Re-tie headband with a single knot and adjust to fit. Your flower headband is ready to wear! For added effect, you can glue leaves on headband between every other flower. These headbands were so cute; we could not just make one! We made another version of our floral headband using white flowers with a silver headband.